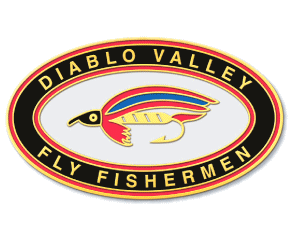 Windknots is the monthly newsletter of the The Diablo Valley Fly Fishermen's club. 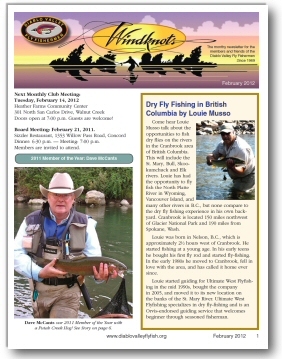 Content includes a schedule of activities for the month, a synopsis of next month's program and speaker, if any, articles by members, information on future scheduled outings and upcoming events, articles to keep members informed of current developments in conservation and classified advertising from both members and the club's supporters and contributors. Members wishing to contribute articles to or post personal ads in Windknots may contact the editor by e-mail, phone or mail. Submissions for inclusion in the Windknots must be received by the editor not later than the third Friday of the month.